In lights of recent news about violent teachers, I would like to offer my perspective about the matter. Did you know that the highest ranking reason for people entering the academic world is because they wanted to change something? Did you know that their main concern is very seldom about the salary nor their own position, but rather about the bright future of their students? 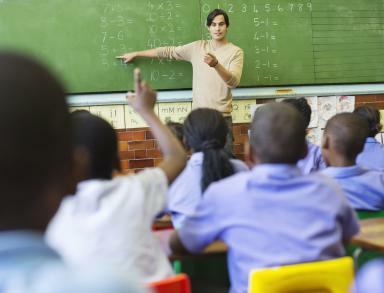 Did you know that teachers usually have secret identities? The gestures they use in front of their students are not always their favorite, but it is always the most necessary. Sometimes they even use phrases which are quite alien to the students, for multiple of reasons. One of these phrases is "grace marks". My first encounter with this phrase was back when I was an undergraduate student. "Don't be too happy.. you only passed my subject because of grace marks", said a lecturer to me while bumping into each other. I gave him a smile and he gave me that. I didn't understand what he meant but I didn't like it. So I asked him, "What did you mean by that sir?". In a more serious tone than before, he reverted; "You failed my subject last semester. Then I helped you. I added a few additional marks under you name; grace marks. That's how you passed my subject." If I had an open wound and someone threw a bag of salt to that wound, I imagined that would be a better feeling than what I felt by hearing those words. So since the add/drop period was not over yet, I registered for that same subject again (note this is a common practice undergraduate students do when they are not satisfied with the mark of a subject, the higher mark will later overwrite the lower). This time under a different lecturer. This was my protest. To make long story short, in the end I got an A for that subject. In that moment, I can only think of one possible explanation for me acquiring that A; the second lecturer was better than the first. It was not because of myself that I actually failed the subject. It was all because of that first lecturer. He was not a good lecturer at all. I thought. Then I went on to proceed with the other semesters. I studied the remaining subjects with a similar hope; that I will never get grace marks out of pity again. Thank God, I didn't. Years later, it struck me; the second lecturer was not really better than the first. Their teaching ability had very little to do with my results when compared to my own will. It was that will to prove my self-worth that fueled my body to study. The will which might have never came without that lecturer's hurtful words. I've never bumped into that lecturer again after graduating. I honestly don't even remember his name now. But if somehow by God's grace you accidentally read this article, please know that this article is actually my thanks to you. I never found out the real intentions behind those word. But in my point of view, he changed at least one student with those words. Those marks turned out to be grace marks after all. But had I took another kind of measure after receiving the lecturer's cold treatment that day, my life would definitely be very different. In the end, our lives are just series of consequences for the choices that we took. I got plenty of friends in Malaysia woh go their for their Higher Studies but I just came a cross that most of the student facing a problem in their Assignment and Dissertation and they required some help. I just want to recommend they are the best in town and in very affordable amount. Matriculation College Life: Grow Up. Grow Strong.